Overview: The Luri-Bakhtiari people cluster encompasses two large ethnic groups of southwestern Iran. The Lurs are a mixture of aboriginal Indo-Iranian tribes; the Bakhtiari are an Iranian tribe of nomadic pastoralists. 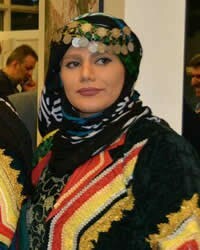 Several dialect subgroups of the Lurs are identified as distinct people groups, including the Kumzari of Oman.